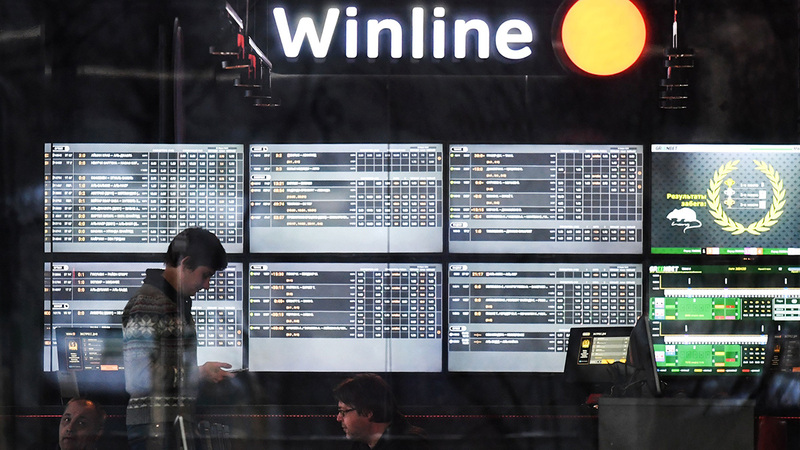 A picture taken on March 01, 2018 shows men at a Winline, a Russian bookmaker, betting shop in Moscow. Global sports gambling is an industry worth upwards of $3 trillion dollars, before potential widespread legalization in the United States. Globally, sports betting isn’t taboo. Around the world, betting on soccer, tennis and even cricket are commonplace. Along with betting, match-fixing has become very prominent in tennis over the years and many are calling for reform. Sports gambling is widely legal across the world. Asia and North America are somewhat similar in the sense that laws depend on individual countries — or states — and their stances on the issue. The Middle-East is one region where the practice generally doesn’t take place. Yevgeny Kafelnikov, the former No. 1 ranked player in the world, retired in 2003 after allegedly fixing a match. He lost 6-2 and 6-3 to Fernando Vicente, who was ranked No. 68 at the time, then retired short after. Jay, whom DailyMail.com covered while speaking at “a session on match-fixing in sport at the week-long UN Congress on Crime Prevention and Criminal Justice,” even went as far to say that 90% of the industry was built upon legal betting. He also believes that the industry will continue to grow around the globe. Recently, in the case of the United States, it’s believed that the offshore gambling industry, which is an illegal form of gambling, circulates $400 billion dollars per year. According to Statista.com, the online gambling industry, which includes both online variations of table games as well as sports betting, raked in $20.5 billion in 2009. However, that number is set to be tripled by 2020 when it hits its projected mark of $59.79 billion in circulation within the online gambling market. Currently, 14 states have introduced, but have not yet passed, bills that would pave the way for the legalization of sports betting in their respective states. Four other states, Pennsylvania, New Jersey, Connecticut and Mississippi, have all passed bills.